Last week most of my available sewing time was dedicated to sewing sewing six reversible super hero capes for a family member. I was sewing them for six of her grandsons, three of which happen to be from the same family. I wanted each of the brothers to have a unique cape...so that there wasn't any confusion. Unfortunately, there really aren't very many caped super heroes: Batman, Superman, Robin (sidekick), and a few lesser known heroes. 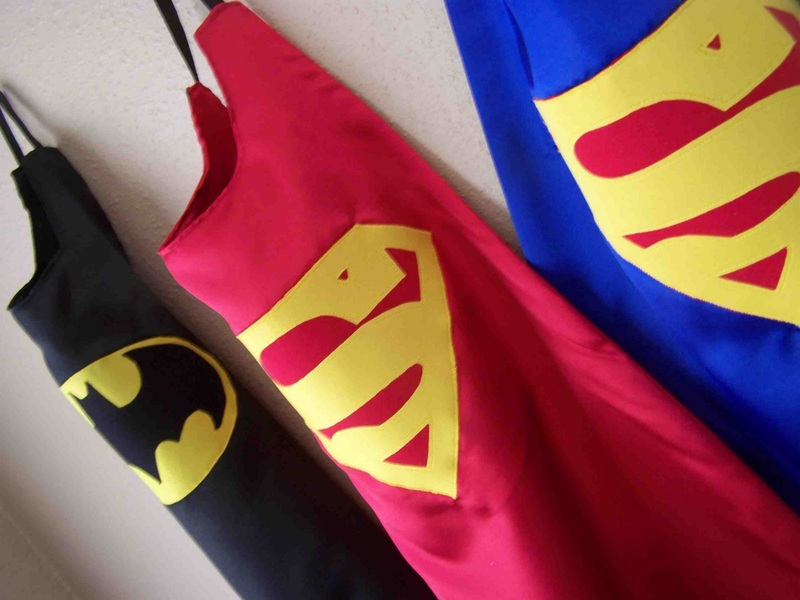 I chose to make a Batman cape, red Superman cape, and a blue Superman cape. 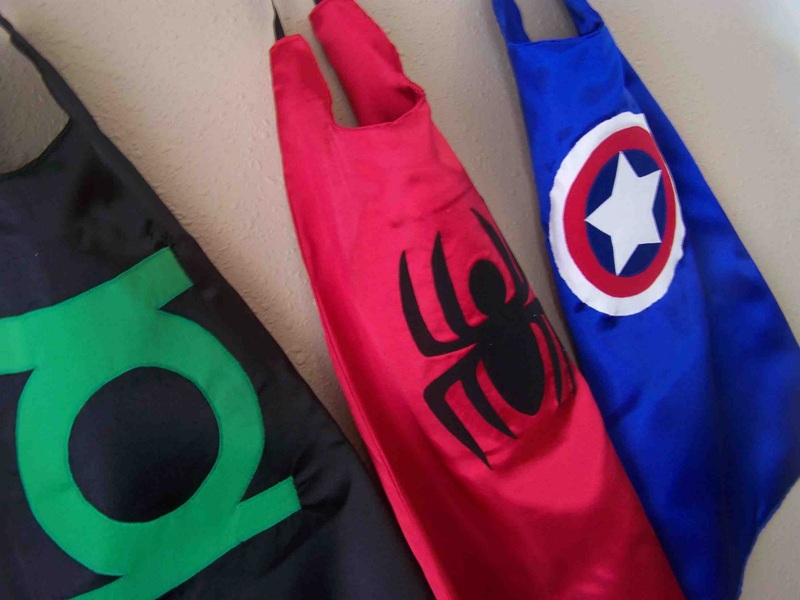 Each of the capes has an un-caped super hero logo on the back: Green Lantern, Spiderman, and Captain America. The brothers can now play different superheroes at the same time. In the past I've used ribbon for a tie closure at the neck, but after having to stop dinner to tie on a super hero cape, I knew that there had to be a better way. I figured that a few inches of elastic would do the trick. The elastic stretches over their little noggins, and keeps the cape in position. Can I just say that I'm happy to have this project wrapped up, I have a lot of projects that I'm eager to work on. You can find my Super Hero PDF Sewing Pattern in my shop! 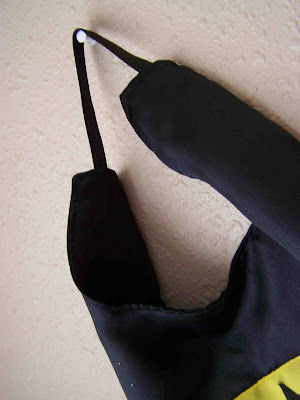 These are wonderful but I would do a Velcro closure to prevent choking/hanging. With Velcro the child can even pull it to get free. And I think the child could fasten the closure with a little practice. I agree with usually Velcro rather than elastic.Safer!